Meeting Point for this excursion is normally at Shute harbour (Meeting Point No 2). Your vessel, Paradise Explorer, will depart at around 9am after a safety briefing and travel to Long Island Sound, Woodcutter Bay and an excursion into a mangrove estuary. 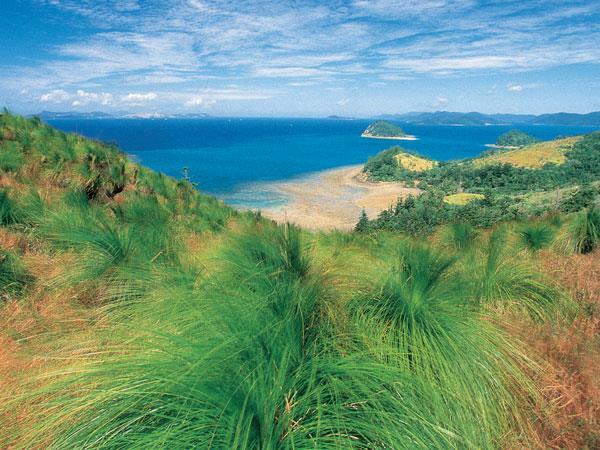 We then stop at Sandy bay or Palm Bay Long Island where you can exit vessel for an enjoyable bush walk of about 1 hour. Next, we stop for a gourmet picnic lunch on a private beach at Denman or Plantain Island, then continuing on towards South Molle Island, through “Unsafe Passage”, past Daydream Island, Pioneer Point, Funnel Bay and finishing at Abell Point Marina (Meeting Point No 1) at approximately 3pm. Note: This trip is tide dependant in order to travel up the mangrove lined estuary and river so there may be some days we are unable to achieve this adventure or the day will be rearranged to accommodate this very interesting part of the Whitsundays. Spray jackets & leggings extra towels, Ice, bottled water and Eski (Cooler) also provided. Snorkel equipment (Mask, snorkel & fins available) @ $15.00 pp, but must be ordered prior to trip. Stinger / wetsuits also available during recommended season @ $10.00 pp. (or $5.00 extra per person if getting snorkelling gear as well). Trip may be reversed in Northerly conditions.